Estas notas para estudio bíblico, escritas por el Dr. Thomas L. Constable a través de un período de más de 20 años, abarcan más de 7.000 páginas y presentan comentarios sobre los 66 libros de la Biblia. Notes on the Old and New Testament can be a useful supplemental resource. It brings together 11 volumes of Barnes’ notes on the entire New Testament into one volume. Resenha dos principais comentários disponíveis na web por Bruce Hurt – PreceptAustin. Recomendamos a leitura ntes de acessar os comentários para um panorama dos autores e sua linha teológica. Broadus digs deep into the 1st Century A.D. and brings out the manners and customs of the day and uses the information to bring color to the Biblical story of Jesus Christ’s life as recorded by Matthew. It also cross references to the other three gospels and puts together a detailed and complete record of Christ’s journey on earth. Comentários completos de Calvino traduzidos para o inglês. 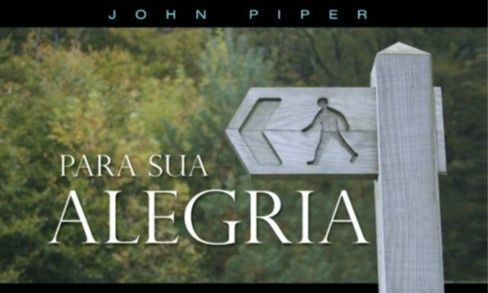 Pesquisa simultânea por texto bíblico em comentários bíblicos clássicos: Jamieson, Faussett & Brown, Matthew Henry e outros. As notas para estudo bíblico escritas por Dr. Thomas L. Constable ao longo de 20 anos incluem mais de 7.000 páginas e trazem comentários sobre os 66 livros da Biblia. Online commentaries organized by book of the Bible) is found here. Though the majority of these commentaries are older (which is why they are now in the public domain), they still represent a wealth of insightful information about the biblical text. John Eadie’s publications were connected with biblical criticism and interpretation, some of them being for popular use and others more strictly scientific. Impresso originalmente em 1560, permite ler as Escrituras com os comentários baseados na teologia de Calvino, Lutero, Zuinglio e outros líderes da Reforma. Exposição bíblica de John Gill. David Guzik’s Commentaries on the Bible are reproduced by permission of David Guzik, Siegen, Germany. Comentários de Matthew Henry, ministro do evangelho em Chester, Inglaterra, no final do século 17 e início do século 18. Links para comentários, sermões, devocionais e outros recursos organizados por livro da Bíblia. Ironside was one of the most prolific Christian writers of the 20th Century and published more than eighty books and pamphlets, a number of which are still in print. Conservative evangelical commentary series from Inter Varsity Press. Comentário em um volume de autoria de Robert Jamieson, A. R. Fausset e David Brown. A triumph of rigorous scholarship and sound theological judgement, Keil & Delitzsch is a classic in conservative biblical scholarship and remains one of the most popular Old Testament commentaries available. Comentário do livro de Gálatas por Lutero. Comentários bíblico de Alexander MacLaren, ministro de origem escocesa (1826-1910). Uma harmonia dos Evangelhos, a obra de J. W. McGarvey e Philip Y. Pendleton traz uma cronologia completa comentada da vida de Cristo. Comments are short (typical of a study Bible) but one of the best Study Bibles available if you are looking for literal interpretation. If you are not familiar with Morris’ work, you won’t be disappointed if you are looking for a conservative resource that has short comments on the entire Bible. A classic commentary on the Books of Romans and Revelation by William R. Newell. Originally this work was copyright 1935. The Expositor’s Bible is one of the most-recognized standards of expository commentaries. It was written by twenty-nine eminent scholars of the day who were also full-time preachers. These writers also represent every important branch of Protestantism. This was a 12 volume, chapter by chapter commentary of 4,800 sermon outlines and 24,000 homiletic references that the editor compiled from authors he liked. Comentário do Novo Testamento por A.T. Robertson, com destaque para os termos gregos. Free Download & Streaming. Brief verse by verse comments plus homilies (sermons). Should never be uses as one’s sole, primary source especially in interpretation of the Old Testament promises. Versão digitalizada do comentário de Salmos por Charles H. Spurgeon. Bom recurso para o estudo de termos. Comentário do livro de Daniel.